General Hospital Admin & HS Library Entrance at Burnett Ave.
Additional details regarding RSVP, location and reception will be posted soon to the Winkler Center website. Questions should be directed to (513) 558-5120. 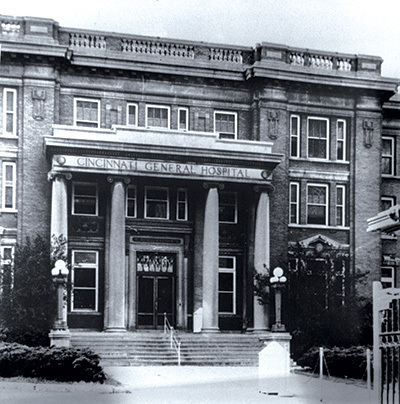 Originally formed in 1976, the Cecil Striker Society for the History of Medicine was called the Medical History Society. Its goal was to promote and perpetuate an interest in the history of medicine and all related disciplines in the health care field. One month after its first meeting Dr. Striker died, prompting members to rename the organization the Cecil Striker Society. Inactive for many years, the move of the Winkler Center to its home in the new Donald C. Harrison Health Sciences Library in 2008 generated a renewed interest in the society, and in 2010 the Cecil Striker Society convened for the first time in many years. More about the Cecil Striker Society is available online.